hd00:28Indian man are making wooden souvenirs for tourists in Srinagar, India. Wood Carving is a traditional handicraft in Kashmir. hd00:24Indian man are making wooden souvenirs for tourists in Srinagar, India. Wood Carving is a traditional handicraft in Kashmir. hd00:26Indian man are making wooden souvenirs for tourists in Srinagar, India. 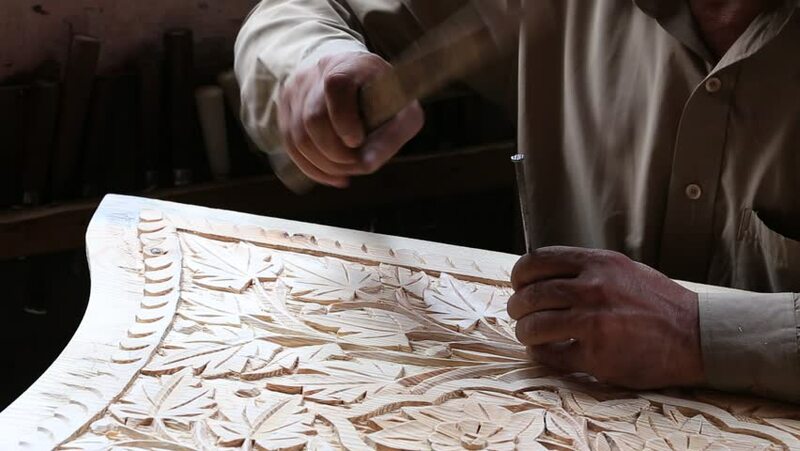 Wood Carving is a traditional handicraft in Kashmir. 4k00:141980s: Girl sits at table, colors, turns around and talks to mom. Woman stands in kitchen, talks to daughter, wipes hands, walks out of kitchen. hd00:17Young attractive woman tattoo artist creating sketch for tattooing in studio indoors.